BBQ Beef ribs done right; the traditional American way. Check out the recipe below. 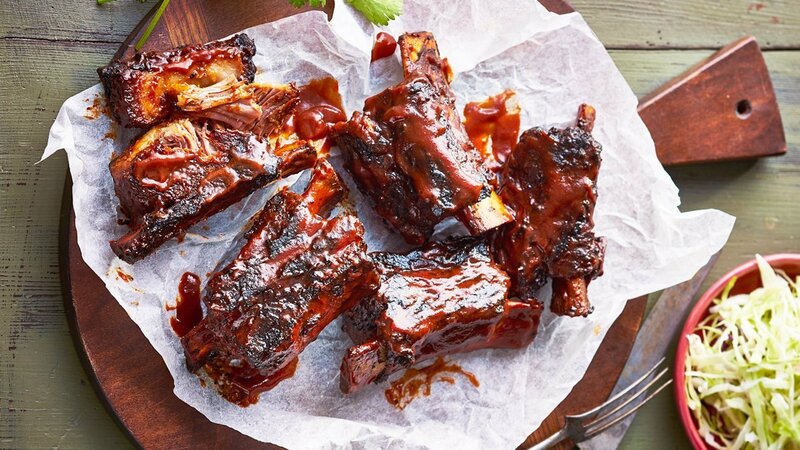 combinechilli Puree, Knorr Chicken Seasoning Powder and paprika puree and rub over ribs, marinate overnight. Place ribs in roasting pan, roast in oven at 160C for 2-3 hours or until tender. Add some pan juices, chipotle BBQ sauce, garlic Paste,chilli puree and reduce. Brush glaze over ribs and place back in oven for 15 minutes or until caramelised. Serve with slaw and garnish with coriander.